You don’t need to act like you’re in an episode of Ab Fab to thrive in a PR job. You’ll be promoting your company, a brand or a product to the world and trying to drum up as much publicity as possible. Are you tenacious enough not to take no for an answer? People in PR work at making a name for whatever they’re working on, this can be anything from a big, recognisable brand through to smaller start-up projects. You’ll need to gain ‘fame’ for what you’re working on and work with the media to try and get a message out to the masses. PR jobs are highly sought after and people often look at it as a glamorous career choice, which is can be if you end up working in entertainment or fashion. But as with anything, it’s all about what company you work for. However, this is by no means an exhaustive list. 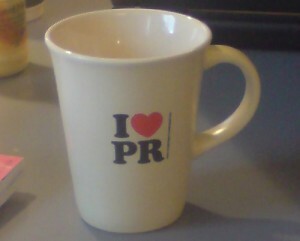 Actually, the salaries for PR jobs aren’t too shabby, especially for anyone with a solid understanding of social media. Of course, you won’t be in the same bracket as financiers but a £16,000 – £24,000 starting salary isn’t to be sniffed at. PR jobs offer a huge amount of career options; after all, most companies need some kind of PR to succeed. You can work anywhere from top fashion houses through to small charities trying to raise awareness and you can use your own personal interests to choose where you end up. Then there are the endless parties and events! PR jobs are tough. You often have to work long hours and schmooze clients and the press on a regular basis – you can forget having your free time completely to yourself. It’s also a difficult, targets-driven job where clients have high expectations of how good a job you need to do for them. There aren’t any set qualifications needed in order to become a PR; however, realistically most applicants have a degree, although the subject isn’t important. What IS important is work experience. If you can demonstrate experience of media, marketing, communications or even direct PR then you’ll be in with a much better chance of getting a great job. Time to start volunteering or apprenticeships! OK, I’m interested… But is it really the career for me? The most important attribute a PR needs is the ability to build relationships with people – particularly cynical journalists. The media is a powerhouse for PR opportunities but getting your product or brand into the pages of the best newspapers and magazine or on the trendiest websites can be difficult to say the least – unless you’re chummy with the editor!